Today, we begin to make the shift into hacking and remixing, and I am going to have them use the tool from Mozilla — XRay Goggles — to remix our workshop website. Honestly, I am not sure how it will go. These are not kids who can code, but part of the reason for using the tool is to show the underlying structure of websites — to make the world more visible — and to give them tools to mess around with the world, and learn from that experience. 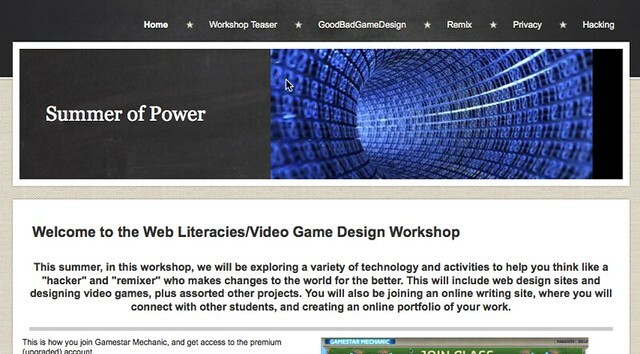 This entry was posted in Summer of Power 2013, TeachtheWeb. Bookmark the permalink.